The proper and safe loading and unloading of construction materials takes both skill and care. An error in judgment, a slight miscalculation or a mechanical mistake can result in injuries not just to the loader, but to nearby workers and workers unloading materials at the route’s other end. Brooklyn construction accident attorneys of The Orlow Firm have handled injury claims involving improper loading and unloading. We are highly knowledgeable regarding both the risks workers face and the laws that support workers’ right to compensation following injuries. The Orlow Firm has more than 30 years of experience and has handled thousands of cases, including accidents involving loading or unloading. For a free consultation, call (646) 647-3398 or contact us online. If you have been injured by improperly loaded or unloaded bricks, logs, sheetrock or other construction material, contact a lawyer even if you have already filed a workers’ compensation claim. You may have an actionable third-party claim if a contractor or other third party was responsible for the dangerous condition that led to your injuries. Third-party claims may yield more money damages than a workers’ compensation claim. Undocumented workers have the right to be compensated for their injuries just like other workers in Brooklyn. Se habla español. 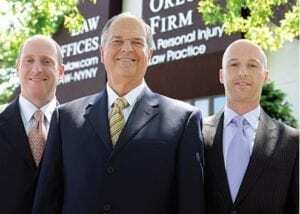 When you work with The Orlow Firm, you will always work with a named partner. We believe you should not expect anything less. Schedule a free consultation today.We operate four offices across New York City for your convenience. We can go to you if you cannot come to us.